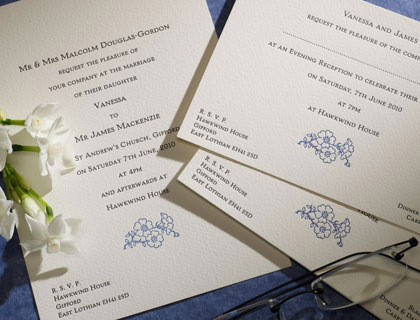 The standard wedding invitation is printed letterpress in black and delft blue ink on 7″ x 5″ Oyster Impression single card (portrait), supplied with matching wove envelopes (unlined). 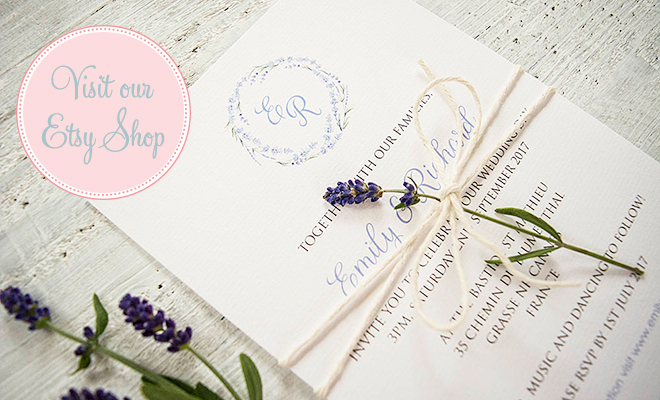 The invitation can be adapted to your preferred style and you have the option to alter: size, ink colour, print style and font, plate sinking, card type, gilt edging, lined envelopes, add ribbons or artwork to the design. call us on 07803 727248.